Big E Loudspeakers Technology Partners invite you to become part of what has been called," One of the most significant advancements in the evolution of loudspeaker design." The MVW Loudspeaker Alignment sound presentation is immersive and powerful, drawing the listener into a personal and visceral auditory experience. MVW technology produces a de-correlated sound presentation to the listener resulting in greater perceived clarity with reduced adverse environmental reactivity. Big E designed MVW loudspeakers from GC Soundworks are a marvel of size and audio presentation for the Home, Architectural, FOH applications. 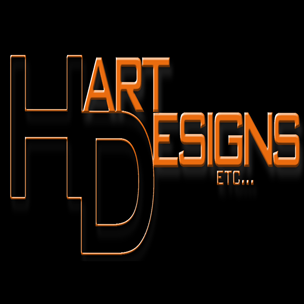 Big E designed DIY kits and Loudspeaker parts, supplies, and accessories. Ashly amplifiers and DSP as well as lifting and rigging components. work with churches on a daily basis. Don't settle for a cookie-cutter sound system. Interested in becoming a Technology Partner Contact Us NOW! The Manipulated Vortex Waveguide tm or MVW for short is an electro-mechanical system that harvests and uses the energy from both sides of the loudspeaker transducer. A more loudspeaker centric term for this technology would be a Frequency Independent Virtual Compression Labyrinth Horn. The Big E design philosophy begins with the study of conventional loudspeaker design with an emphasis on Folded Horns beginning with the Jensen Imperial and other Jensen designs. It is noted that when employing such large horns in a small listening environment the bass frequencies from such a correlated source could react adversely with the room causing severe node and anti-node behavior or even producing a standing wave that could be almost completely canceled if placed in a room of proper proportion to do so. The recommended remedy of such a situation is to place objects such as furniture in the output path of the horn to cause a breakup to the single source signal into multiple reflections or de-correlation. Contemporary researchers such as Dr. Earl Geddes and Floyd Toole as well as loudspeaker designers such as Duke LeJeune and James Romeyn have moved this theory forward with the study of Early and Late Reflections as well as Diffraction and High Order Modes. At Big E we recognize that sine wave source input and point source theory create a useful simplified mechanism for the study of sound wave propagation and can be fundamental in the development of fine loudspeakers. For us, however, these mechanisms are guidelines not goalposts. Our goal is life-like natural sound. Sound in nature is very rarely created by a sine type signal radiating from a single point in space. Rather, sound in nature is the result of multi-turbulent hydrodynamic flows such as that created in the human larynx. To complicate matters our target audience is NOT a microphone and measurement device but the human ear-brain interface. It is the human auditory processing system that is the final focus of our designs. Dr. Geddes states that at frequencies above 500 cycles per second or Hz the wavelength is short enough to provide numerous pseudo-random reflections making placement of loudspeakers producing such a frequency range in most environments largely irrelevant. It is the frequencies below 500Hz that need the most consideration or treatment. The ability to place loudspeakers pretty much wherever the user may need them and still get excellent performance, rather than having to re-arrange the room or environment to accommodate speaker placement requirements, is a major design goal for Big E.
We would like to thank the Bass community for the early adoption of our technology and interest in our continued development. 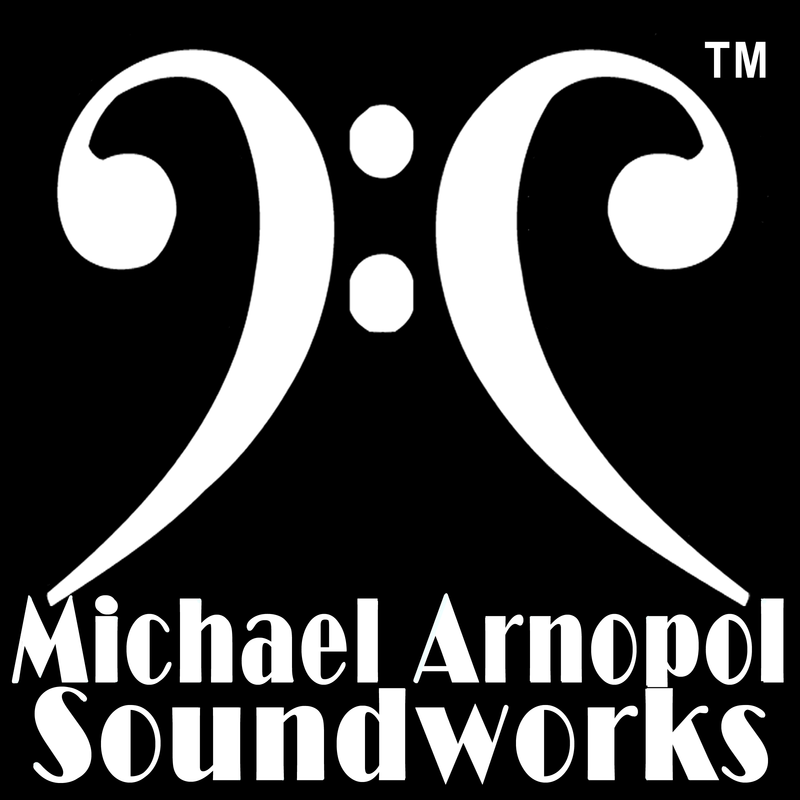 In appreciation we felt it appropriate to give the bass community the first reveal of the workings of Mike Arnopol Soundworks and all MVW logo cabs. In order to better understand The Manipulated Vortex Waveguide Loudspeaker Alignment (MVW) or Frequency Independent Virtual Compression Labyrinth Horn, we thought a little history may be enlightening. The unintentional development of this loudspeaker alignment began after Thomas designed a successful ported and cross-fired dual 18” sub-woofer that is still crushing today. We were introduced to the idea of an acoustical labyrinth coupled to a short horn as a mechanism for increasing bass response. Provided only limited details to prevent any preconceived notions, a 5” door speaker from a BMW was requisitioned and put into the first test cabinet. The results were astonishing. The little 5” transducer produced more bass output than the 8” loaded folded horn we were using for comparison inside the passenger compartment of a 15 passenger van. We then started experimenting with the overlap and spacing of the chamber baffles. Proper spacing of the baffles in relation to the driver forced a rotation of the back wave through the labyrinth which created tremendous bass sensitivity. After this success we decided to scale up a bit and build a dual 18” prototype. Go big or go home! There were some design elements of our first commercial BigE subs that we wanted to retain. These included the cross-fired alignment. Many possibilities were drafted and built, but all were large and complex. We knew, based on our prototypes, that we could limit the number of labyrinth baffles. After several attempts at trying to combine the cross-fired driver alignment into a labyrinth, we had found the output level we wanted, but dangerous levels of infra-sound were also produced. Several bruised ribs and three days of dizziness and disorientation on the sofa later, we had to understand why this was happening. Each chamber was measured and compared. The result was the discovery of the Virtual Compression Labyrinth which created the desired output. This reduced the size of the enclosure but retained the output we sought. 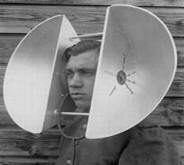 Steve then wondered aloud if a smaller version of the same design would work as a PA top. We built a 6” cab which to our surprise still had support down to driver Fs and up to about 4K Hz as well. We then tried an intermediate size and discovered that either a set of sub-woofers or coaxial transducers could be employed in the same enclosure providing extension to Fs of the installed transducers. This confirmed the Frequency Independent nature of the design. We now had the aspects of a Frequency Independent Virtual Compression Labyrinth Horn. After successful construction and testing of several different sized loudspeakers using 3” to 21” transducers we set about the task of researching and enhancing the alignment. The next issue at hand was the enclosure size. In order to send the energy from the Virtual Compression Labyrinth or Vortex Generator, as we call it, to the horns or Output Flares at each side of the loudspeaker, a waveguide at the rear of the enclosure was utilized. A test unit was constructed with a common center horn fed directly by the Vortex Generators without the waveguide. An extreme cancellation appeared resulting in the only discernible sound being that of the enclosure itself talking. Measurements in the center horn were very high but canceled as the sound exited in front of the drivers. The Waveguide was confirmed as a critical component. After MONTHS of poking, prodding, and pestering Leland Crooks finally agreed to stop in and listen on his way to visit Mike Arnopol, to learn composites with his son Sam. We built two prototypes we named for him: The LC8's. He was the first true skeptic of the MVW Loudspeaker who became a believer in the technology. We gave him a Lil'E 12 sub-woofer to take back and test in his shop. This is the first cab Mike Arnopol saw. After just tapping on the cone and listening to Leland, he wanted to be become involved with the product. Mike also thought we should bring in Duke LeJeune of Audio Kinesis. Based on a YouTube video of an event for which we provided sound, Duke identified the de-correlated sound of an MVW cab, unlike anything he’d heard. The MVW alignment had the sensitivity, clarity, reflection resistance, imaging and extension we sought with the placement flexibility we needed. Big E Loudspeakers was formed. Needing an identity for our technology we developed an accurate, descriptive, yet misleading name: The Manipulated Vortex Waveguide. This provided technology branding, early intellectual property protection, and amusement. After working with some notable designers and manufacturers we filed for Utility Patent protection in August 2013. Spurred on by these and other discoveries and verifications we continue to further study, refine and optimize the MVW alignment. Further enhancements to the alignment were garnered during research conducted for Mike Arnopol. The improvements are unmistakable. These advancements have led to the MA-109 Bass Loudspeaker and tweaks throughout all product lines. Our research continues as well as quantification of our discovery through the use of Continuum Mechanics. The Manipulated Vortex Waveguide Loudspeaker Alignment or MVW for short, (US Patent 8887861) began as a study of the properties of the Acoustic Labyrinth. In speaker centric terms the MVW could be called a Frequency Independent Virtual Compression Labyrinth Horn. This groundbreaking system utilizes disciplines of Continuum Mechanics not found in convention designs and is more akin to an acoustical musical instrument and a jet engine than a conventional loudspeaker. The MVW system harnesses principles of Multiturbulent Hydrodynamic Flow, as quantified by Dr. MS Howe in The Theory of Vortex Sound, to project a reverberant sound field to the listener providing greater clarity and rejection of environmental interference. Hydrodynamic flow and reverberant sound field (decorrelated sound field or multi time shifted sound field) theory is now emerging as the apex of loudspeaker development and is available from a few select manufacturers. Only the MVW system is successful at creating this desired presentation acoustically without the use of complex signal processing or external boundaries. This allows the MVW Loudspeaker to be deployed by conventional means yielding extraordinary results in acoustically harsh environments with greater clarity, coverage, and dynamics than conventional designs. Big E Loudspeakers in conjunction with Dr MS Howe have developed the following calculation of the output of the MVW. The output of the MVW system is a combination of the velocity (t) of the transducer (Qo) and the Output Flare (Q). Chamber D acts as a summing chamber. The energy is then directed from Chamber D into Chamber V through Aperture 3 where Vortex Shedding begins (Multiturbulent Flow). Since rate of creation of Vorticity is a non-linear function the output velocity Q(t) will also be non-linear. This means that the transducer velocity Qo(t) increases in a linear manner, as found in conventional loudspeakers. However, the velocity of the Output Flare Q(t) increases in as the product of a non-linear function yielding geometrically greater output. Therefore, the effective Vd of the system increases as the system is given more energy. This results in expanded dynamic response and greater as well as non-linear sensitivity in the MVW Loudspeaker. Vorticity (Multiturbulent Hydrodynamic Flow) is generally not a benefit in a loudspeaker system since it produces unwanted acoustic artifacts (Vortex Sound). In the MVW system such Vorticity is intentionally generated and harnessed. The Vorticity generated in Chamber V is allowed to gain velocity by the geometry of Chamber V. This produces copies of the signal originating in Chamber D (decorrelation). This decorrelated signal passes from Chamber V into Chamber W through Aperture 8. This is the time correction part of the MVW. Without this time correction the output of Q(t) and Qo(t) would combine and cause severe cancellations and other artifacts. The resulting decorrelated signal emerging from Chamber F with a velocity of Q(t) combines with the signal produced in Chamber S (Front Scoop) with velocity Qo(t) in the open space at a distance from the front of the enclosure. This produces an expanded near field effect. This effect in conjunction with the decorrelated sound field mimics the way sounds are produced in nature and interpreted by the ear-brain interface. The single correlated signal produced by conventional loudspeakers, which may be harmed by environmental factors, gives the ear-brain interface only a brief period in which to interpret the information. Whereas the decorrelated signal from the MVW gives the ear-brain interface multiple time corrected signals to process. If the decorrelated signals are within a proper time window (not too early or late) the brain then interprets the information as a single source even filtering out some adverse environmental reactions. This results in enhanced perceived clarity of the MVW loudspeaker. The recombination of Q(t) and Qo(t) in space in front of the enclosure and the resultant Expanded Near Field Effect are environmentally reactive. 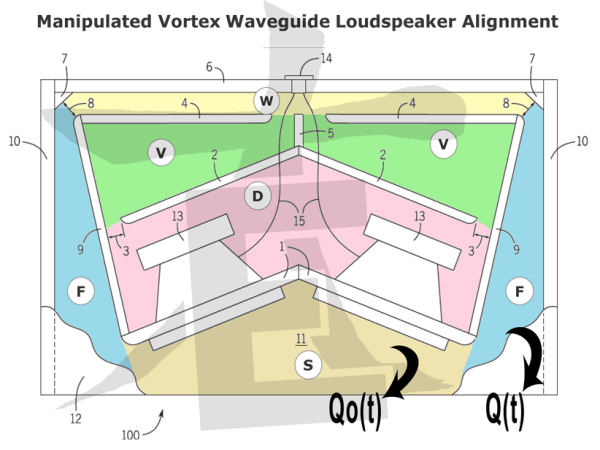 This means that the space into which the MVW loudspeaker system is placed will modify the ENFE by changing the combination geometry of velocities Q(t) and Qo(t). This causes the ENFE to form inside the perimeter walls of an auditorium, for example, creating a more even signal coverage to all audience members inside the boundary. Outdoors or in very large spaces the ENFE initially takes on characteristics of a planar wave and then expands into a line array type propagation until at distance the ENFE (or Event Horizon) collapses and continues to dissipate as a function of the inverse square over distance (Inverse Square Law). This ENFE or Event Horizon allows for much more even sound propagation to an audience. Furthermore, adding more MVW loudspeakers does not proportionally increase Sound Pressure Level at the array. Instead the Event Horizon or ENFE distance is expanded. This allows sound engineers to increase audience coverage to a larger area without subjecting audience members near the array to excessively high SPL. Upon the out pulse of the transducer cone the MVW system reverses causing Vorticity in Chamber D. The subsequent non-linear function of the developed Vorticity causes the air mass inside Chamber D to become supercharged as the transducer cone begins its reward travel. At this point the transducer is operating in what is essentially a hyperbaric environment. This supercharged air mass stabilizes the cone during its movement and provides greater heat dissipation from the transducer. This allows the MVW loudspeaker to operate at much higher output levels before suffering from power compression caused by heat in the transducer motor. This further enhances the dynamic nature of the MVW loudspeaker and provides dynamic expansion when conventional systems would suffer from dynamic compression. The MVW system is efficient from infrasonic frequencies up to 4KHz or four thousand cycles per second. Therefore, the need for high efficiency horns or other types of radiators to assist in production of the fundamental frequencies of the human vocal spectrum are not needed. This is a benefit since these radiators if not carefully designed will produce sibilant and displeasing artifacts. In the MVW loudspeaker conventional high frequency radiators are used but only to add information above 4KHz. Furthermore, a vortex wave is capable of the transfer of matter and energy. This means that the MVW system will transmit the information generated by carefully placed high frequency radiators creating a more unified audio frequency spectrum for the audience. Conventional loudspeaker systems use resonation at a point of equilibrium. However, the MVW system operates in an unbalanced state requiring constant activation from the transducer cone. This means that when the transducer cone stops moving the MVW system comes to rest almost immediately. A conventional system must find a new equilibrium once the activation signal is removed causing a bloat or decay especially evident in low or bass frequencies. This bloat or decay further impacts clarity of the sound produced by the conventional loudspeaker. Since the MVW system comes to rest quickly it is capable of producing much greater dynamic contrast in the sound presentation. Much like a television screen that can produce better black can produce a richer picture. In conclusion the Manipulated Vortex Waveguide Loudspeaker Alignment mitigates many issues plaguing conventional designs. Its ability to work well in acoustically harsh environments is one of the foremost benefits of the MVW. The ability to increase audience coverage distance by adding more MVW loudspeakers to an array without building excessively high SPL at the array is another powerful tool as well as the ability to provide greater audience coverage with fewer loudspeakers than conventional designs. However, than manner in which the MVW produces its decorrelated signal enhancing the listener’s experience is worthy of further investigation. Once Steve and Tom had my signed non-disclosure agreement in hand, they sent me pictures of the innards of one of their speakers, and asked what it looked like to me. They wanted to see what someone with some background in speaker design would conclude based on an armchair analysis. Well, it looked like Pablo Picasso had tried to build a transmission line: Sure it looked cool, but the proportions and angles were all wrong. And having built more than sixty different transmission line designs, most of which sucked (though one made it into SpeakerBuilder Magazine), I knew a bad transmission line when I saw one. And this one was just terrible: Tapers all wrong, idiotic choke points, and obviously too short to generate any bass. I think what comes out of the bells (vortex openings) is more de-correlated than would be implied by "360 degree phase shift", but that's not a bad first approximation. All I can say is, in the measurements I've taken, I don't see obvious signs of the output from the bells going in-and-out of phase with the direct sound off the woofer cone, which we would see if it was behaving like a horn or an undamped transmission line. I think it's more like the output from the bells is in semi-random phase, but with amplification. My best guess as to why the Big E cabs have such precision and articulation down low is, psychoacoustics. They play to how the ear/brain system works, and in this case, it's counter-intuitive. Okay, why don't recording engineers use headphones exclusively, and just eliminate the room entirely? One reason is, it's really hard to get bass instruments in proper balance, and the bass level EQ'd right, via headphones. Headphones don't give you any room reverberation in the bass region, and the ear/brain system uses the multiple "looks" of room reverberation in the bass region to get a fix on the pitch. (In high-end home audio, we find that small rooms don't have too many bass modes - they have too few! The increased modal density of big rooms contributes to better bass clarity.) So, what I think is happening with the Big E cabinets is, they are doing a better job of giving your ears multiple "looks" at the bass energy (at all of the energy, for that matter), so it's easier to hear the pitch. As for why the stops are so quick, when the system probably has poor time domain performance, I do not know... I'll have to think about that some. Maybe because their room interaction results in measurably smoother bass than conventional cabs, and smooth bass = subjectively "fast" bass. One thing to keep in mind is, how slow the ear/brain system is at low frequencies. The ear cannot even detect the presence of bass energy from less than one wavelength, and it takes multiple wavelengths for the ear to hear the pitch. Think of how long bass wavelengths are, and you'll see that a lot has happened by the time we can really even hear low frequencies. So a little bit of time delay in a Big E cab may be of negligible consequence compared to how long it takes the ear to correctly interpret low frequency energy. Whatever mechanisms are involved, the net subjective result clearly seems to be more good than harm. Any or all of the above may be totally incorrect and/or inapplicable; I really can't say that I know how these cabs work, much less why they work. I guess it sounds like more of our descriptive mumbo-jumbo but it's really not. The driver chamber is just that. Out of the driver chamber the sound waves go through a tall narrow aperture. This compresses them. They then go into what we call the vortex generator. This section is very narrow at the aperture. It then grows wider. So--the sound waves are compressed into the V generator. The expansion causes them to accelerate and causes the vortices. As some have stated--in conventional reflex designs you don't want 'em. We're creating them on purpose. This part (the V generator) is the critical part... This is what creates a virtual labyrinth. It functions like a labyrinth but without the length. The interesting thing---when they first were designing it they stopped at this point. It wound up being near perfectly 180 degrees out of phase. They knew they were on to something because it almost completely cancelled out all frequencies so they knew they were getting near the same volume out of the V gen. (as I'll now call it). So--how to get it back in phase? At the end of the Vgen it shrinks down to a smaller aperture the size of the waveguide. . They then go into the wave guide. The Waveguide does not open as the V gen does. It stays at the aperture width so the sound waves are spinning (vortices) but staying in the compressed state. The aperture leading into the V gen puts them 180 degrees out. The aperture leading into the waveguide puts them another 180 degrees back in. The compressed spinning waves go through the waveguide section and come to the port flares (the part you can completely see from the front). They then expand and accelerate out of the cab.That's the horn part. But this horn obviously isn't big enough to reproduce the low frequencies. It does amplify the movement of the vortices. Here's the interesting thing. A few that tried the cab said that when using effects or playing double and triple stops that were close together seemed to hang in front of the cab. That's because the sound waves from the vortex and the front of the cone don't reintegrate at the cabinet front. They do from 3 to 8 feet in front of the cabinet--depending on the room which is why JGR said that they were louder 8 feet in front. I smaller rooms they can reintegrate further out. At Tom's we were likely not even at the reintegration point. Small room and we were pretty close. In larger rooms it's maybe about 3 feet out. I'm sure that this will just fuel the naysayers but it does behave like a labyrinth. But a labyrinth that goes this low would be VERY long. This is 8 to 12 inches long but being expanded and contracted again does some crazy things. It is frequency independent. This is pretty obvious as the measured frequency out of the vortex is pretty much matching the response of the front of the drivers. If I tried to put as much power as we did at JGR's into eight 5's in a reflex box they would have been unstable at half of the power we put in. The MVW seems to stabilize the cones. We can put WAY more power in and they stay stable WAYYY longer. As I said earlier---I know what's going on (to a degree) but I haven't a clue why. Big E Technology Partners is a partnership between Big E Loudspeakers and established loudspeaker manufacturers in a Distributed Manufacturing model. Big E Loudspeakers holds the intellectual property and develops and licenses manufacturing to our partners. Big E Loudspeakers provides marketing and publicity support as well. This provides a unified communications and branding structure while preserving each manufacturer's unique market space. An inside look at The Manipulated Vortex Waveguide Loudspeaker Alignment was published in Bass Gear Magazine this March 2014. This website is under construction. 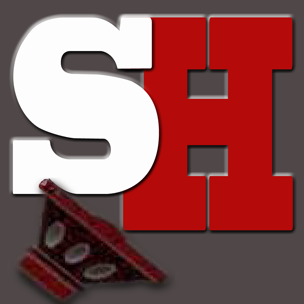 Content will be added regularly in the coming weeks. 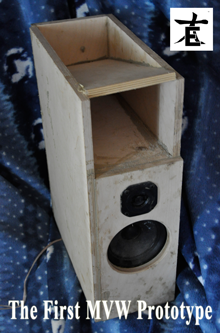 Copyright 2014.Big E Loudspeakers. All Rights Reserved.